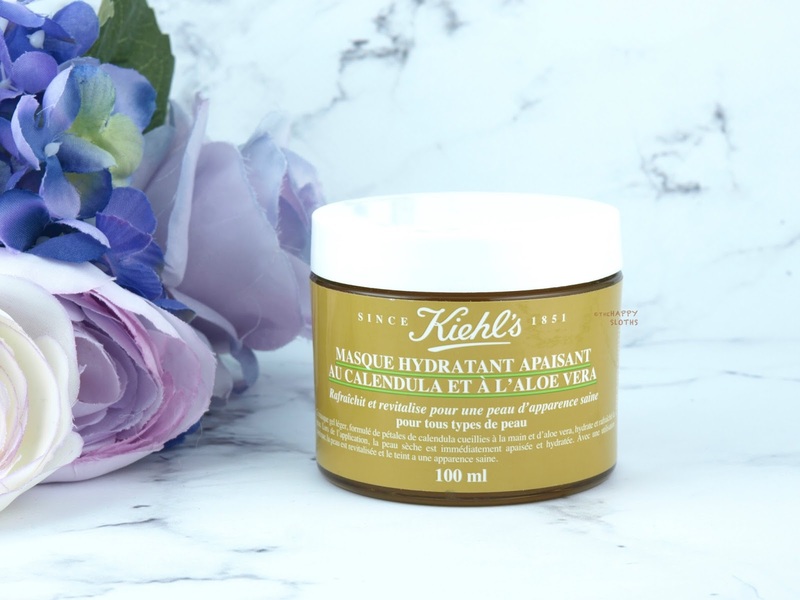 Housed in a simple but sturdy plastic jar, the Calendula & Aloe Soothing Hydration Masque is formulated with water, glycerin, aloe juice, calendula flower extract, lemon peel oil, orange peel oil, and peony extract. The product is alcohol-free and it has actual petals of calendula flower dispersed within, just like Kiehl's Calendula Toner. 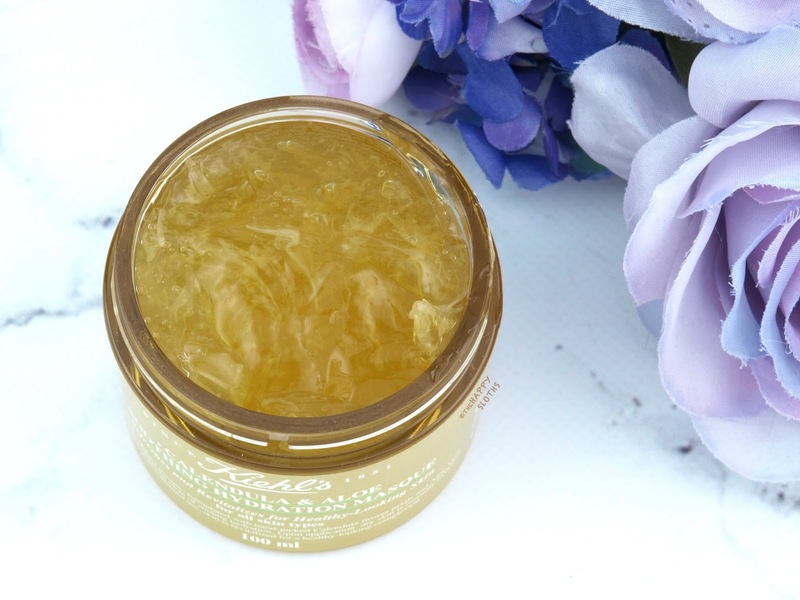 With an invigorating citrus fragrance, the mask has a lightweight gel texture that spreads nicely on the skin, providing a cooling and slightly tingly sensation. The mask will set a bit after ten or so minutes but it won't become tight or dry. After removal, my face felt very supple and hydrated. The formulation is very gentle and it's great for all skin types that want something refreshing and hydrating for the summer time. Kiehl's is available in stores and online and in stores at Kiehl's and The Bay.